In our recent podcast on DemandGen Radio, David Lewis spoke with Isaac Wyatt, Director of Marketing Strategy and Operations at New Relic. New Relic is a publicly held Silicon Valley high-tech firm offering a suite of analytic solutions to help companies gain insight through in-depth performance analytics. Isaac’s team focuses on aligning people and their activities, deploying technology and automation, marketing enablement, analytics, and resourcing strategy. Over the past decade, his career has really rocketed from his start as a Marketing Coordinator to becoming Head of Marketing Operations at New Relic. During the podcast, Isaac offered some perspective about how marketing operations have evolved over the past decade. Having experienced the evolution through various positions at Citrix, Blue Jean Networks and now New Relic, Isaac was able to provide some valuable insight. David: We’ve both seen a lot of change in marketing operations over the past 10 years, and I would love to hear your perspective on the topic. Isaac: When I joined Citrix in 2006 as a marketing operations analyst, I didn’t exactly understand what marketing operations was. At the time, my role in marketing operations was really to administer processes that helped the team understand what they need to do at what point in the workflow, then analyze the results. Marketing Automation didn’t exist. Eloqua was new, and it would be another year before Marketo was an option—we couldn’t even automate emails yet! Thanks to technology, the marketing operations role expanded from a back-office function to orchestrating automated workflows and managing different customer touchpoints. When I landed at Blue Jean Networks in 2012, I was beginning to understand that in the digital world, tools either consume data or they create data and most of them do both. So, analytics informs decisions about activities you choose to implement. Technology creates data, data informs analytics, and analytics reinforce and inform decisions regarding technologies, and so on. It’s been an amazing journey to see my role evolve from simply managing processes in the back office to creating processes that inform strategic decision-making. David: Pretend you’re drawing the marketing ops organization on a whiteboard. What would it look like from a roles and responsibilities perspective? Isaac: There was a time when people equated marketing operations with marketing automation, but because analytics now inform decision-making, the function has expanded considerably. 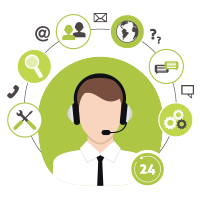 Marketing operations encompasses three key elements: people, the tools that the people need to achieve their goals, and the processes or procedures they need to use those tools to achieve their goals. Another critical aspect is resourcing and planning: figuring out what gaps there are in the organization and what are the right goals for each function. Finally, marketing enablement helps people use tools along with information and insights from analytics to achieve business goals and help Sales be successful. As such, my whiteboard diagram would include a marketing enablement specialist, a marketing technology specialist, a marketing analytics function, and a marketing operations professional to be in charge of business processes that translate into system processes. David: Do you have anything to share in terms of career paths or roles? 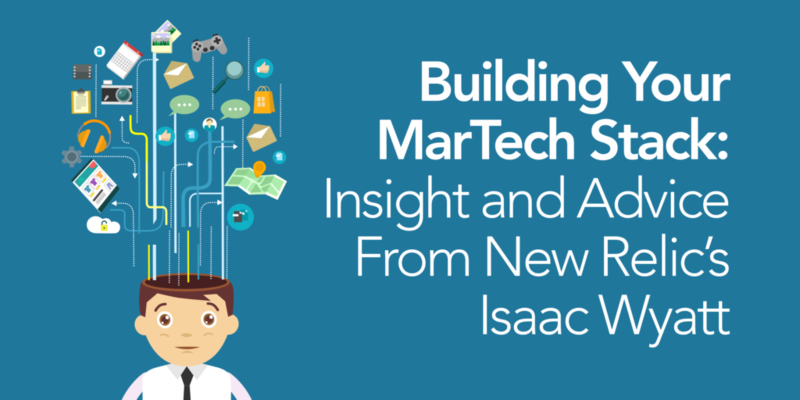 Isaac: Because so much of marketing is digital, having a good understanding of technology and a great understanding of basic analytical techniques and, dare I say, statistics, is helpful. Understanding how a dollar spent here results in ROI is critically important. And because no one is closer to the data than your marketing operations team, being able to devise a resourcing strategy to help align teams and achieve organizational efficiency is extremely valuable. David: Let’s talk about the MarTech stack. Can you share some of your experiences and insights around strategizing and building out your MarTech ecosystem? Isaac: Defining your marketing technology stack is a complex under-training, especially for organizations relying on digital channels. It’s literally part of your competitive DNA—the vendors and solutions you choose will determine your capabilities. So, if a vendor lacks key features necessary to take advantage of digital, for example, it limits your ability to compete. At New Relic, our MarTech stack was built using a cloud-based approach. We can select from a variety of vendors rather than being tied to a monolithic strategy that’s locked into a single vendor, such as Oracle. It works for us because we constantly push the innovation envelope to engage our audience and provided added value. Our core technologies will be with us long-term, but we also use experimental technologies in the short-term. If they fit into our strategy and help us accomplish our goals, they may become a core element in the stack. We have an ongoing evaluation process to determine which ones add real value, and we conduct periodic audits roughly every six months. We usually eliminate a couple technologies if they’re not adding value, and may switch them out for something new. It’s part of our selection process. David: What advice would you give to someone who is evaluating new MarTech? What’s the level of integration with our existing technologies, and how robust and modern are their APIs? Rest-based APIs should be a prerequisite when working with a vendor who doesn’t have native integrations with your existing tech stack. Will they share their product roadmap? 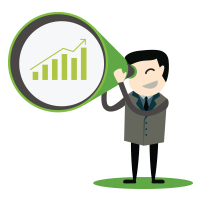 Make sure you understand how the vendor plans to remain competitive. You don’t want to sign on to a multi-year deal with a vendor whose product won’t evolve and improve. You need a vendor who’s going to constantly push the bounds of what their technology is capable of doing. Does the vendor view your relationship with them as a partnership? So much of the marketing we do today is based on interdependence, so choosing vendors that are interested in building that partnership is critical. This interview was the third in DemandGen’s PodCast Series, during which David Lewis speaks with top industry experts, thought leaders, authors, marketing technology firms and senior marketing leaders from around the world about their methods and technologies for high-performance marketing. A replay of the full podcast with Isaac Wyatt at www.demandgenradio.com.